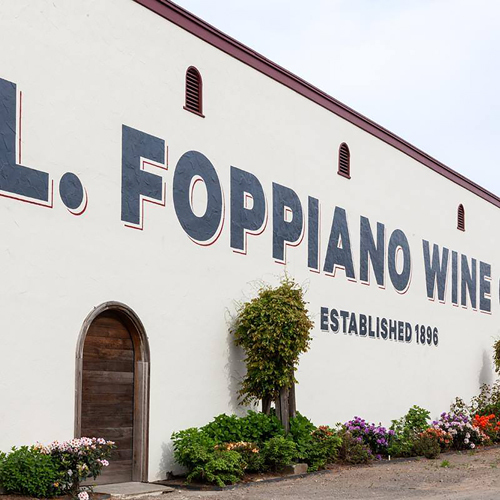 Foppiano Vineyards is an epic family proud of its Italian heritage, full of tradition, perseverance and contributions to the history of Sonoma County and the wine industry. Founded in 1896 by Giovanni Foppiano, Foppiano Vineyards is one of Sonoma County’s oldest continually-operated, family-owned wineries. Our family has supplied northern California with wine for over a century, surviving Prohibition in the 1920s by selling home winemaking kits. We believe that through the strength of the family and a commitment to quality, our traditions can be maintained and thrive. We’re proud to be one of the founding members of the Russian River Valley AVA, and continue to enjoy the fruits of our hardworking Italian heritage. To stay on the cutting edge of quality winemaking, we’ve made important investments in infrastructure and winery equipment throughout the years. The vision of the fifth generation of Foppianos, together with Giovanni’s foresight to purchase land in the Russian River Valley, guides our family into the future while creating a world class wine program representative of our history.